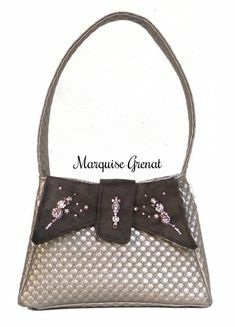 It is with great pleasure that I’m releasing a brand new Sacôtin bag pattern : Ava, the vintage inspired bag pattern ! 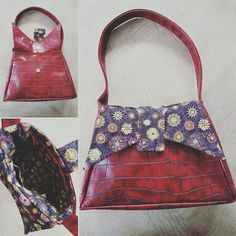 I hope you’ll have as much fun sewing and wearing it as I did creating it. 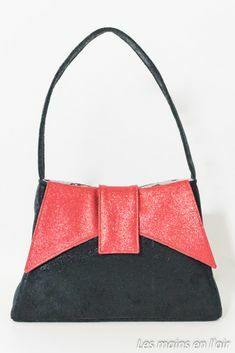 Inspired by the 40’s and 50’s, Ava is an elegant trapeze bag with a vintage classic feel. 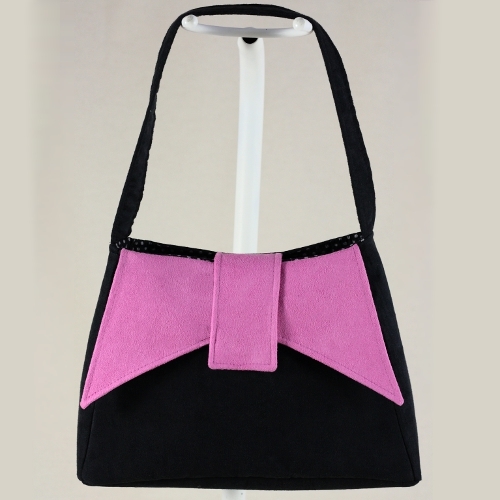 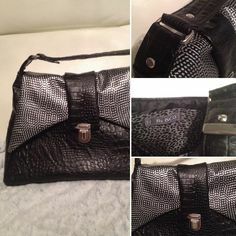 Ava can be worn elegantly over the shoulder or carried by hand. 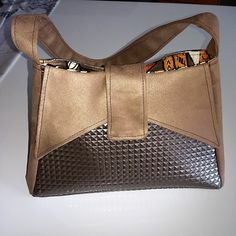 Ava is an advanced bag pattern. 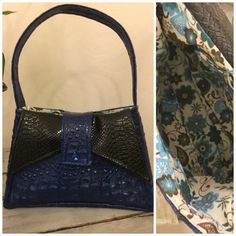 The instructions are illustrated and very detailed. 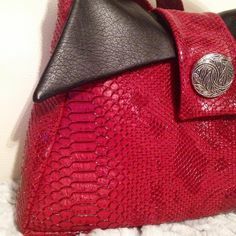 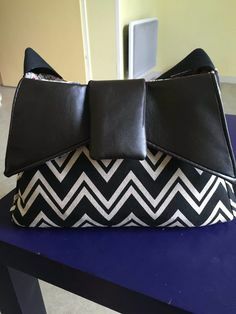 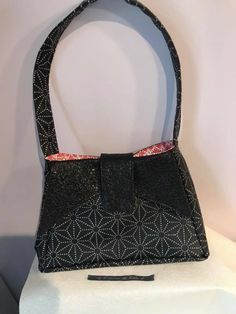 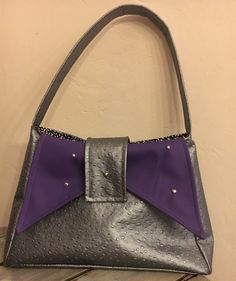 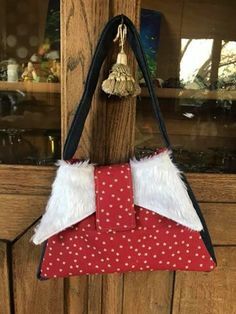 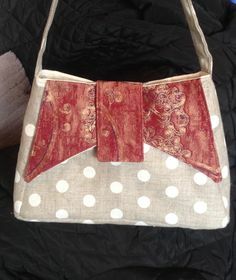 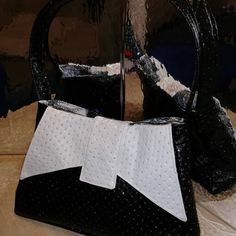 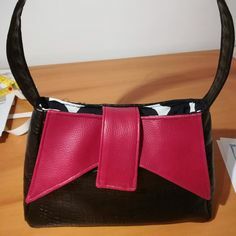 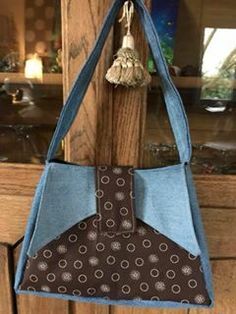 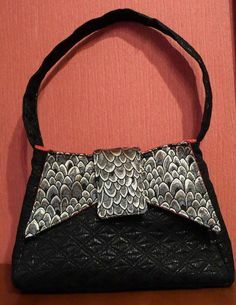 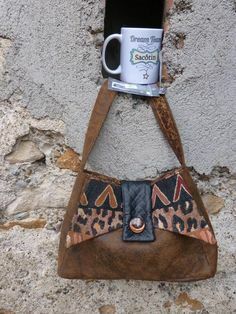 Some steps have links to photos tutorials, which will also allow intermediate seamstresses to sew this charming bag. 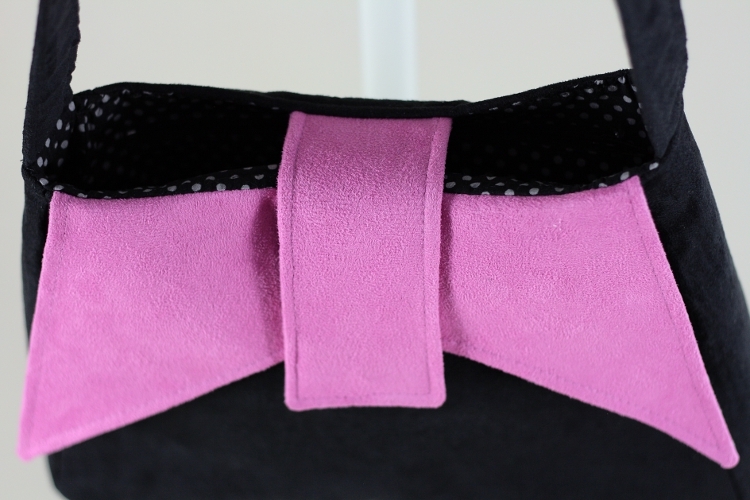 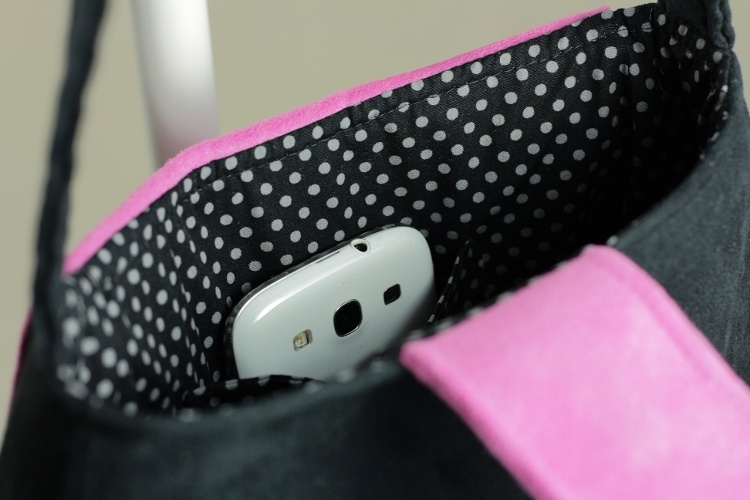 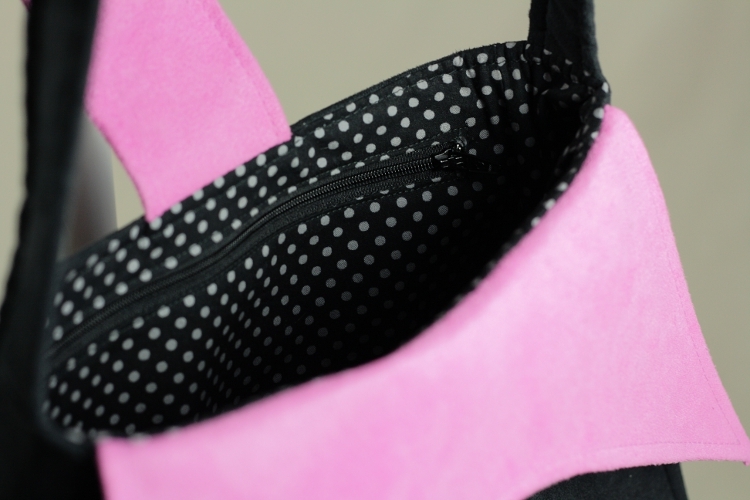 The front pocket has a bow shaped flap and everything is kept closed by a tab with a magnetic snap. 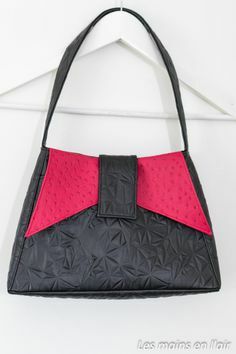 The bag has two additional pockets inside : a patch pocket and a larger zippered pocket. 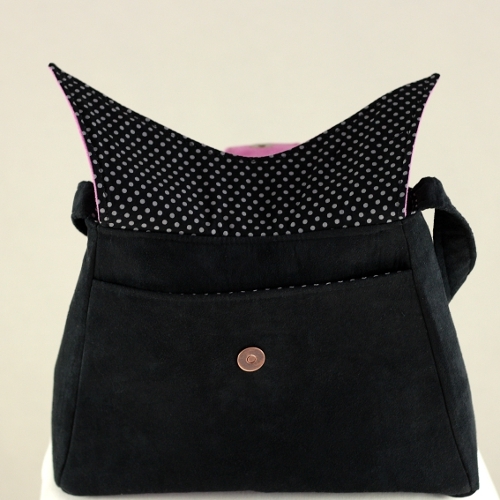 The bag dimensions are : Width at the base 30 cm (12″), height 20 cm (8″), depth at the base 9 cm (3″ 1/2). 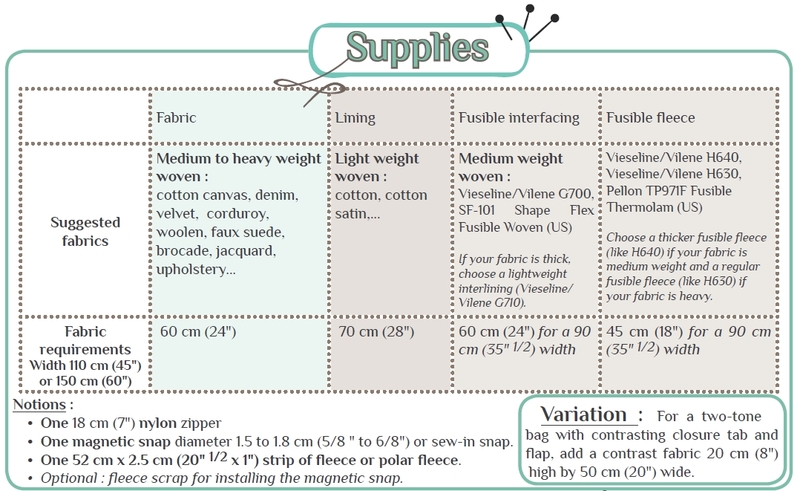 Instructions for the Ava pattern are 19 pages long including 5 pages for the full scale pattern tiles. 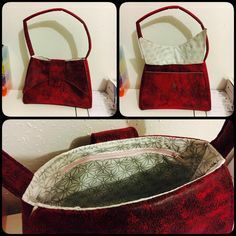 Here are some of the bags, made by you, using the Ava pattern. 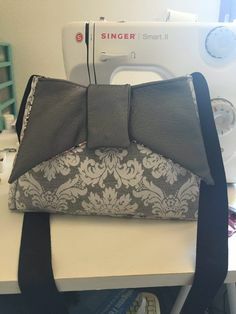 I was fortunate to have a great team of seamstresses to test the Ava pattern ! 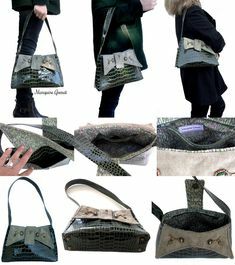 So thank you to Anne of Petits pois sont, Babette, Camille of Camille M’Craft, Cyrielle of Moonlight Thread, Lilou of Lilou pour L., O’Kryn of O’Kryn Prod, Sandrine of SB créations, Sophie and Virginie ! 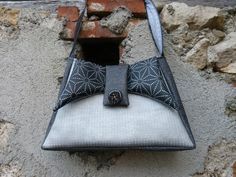 Thanks also to Maria aka Velosewer, proofreader and revisor of the English instructions.